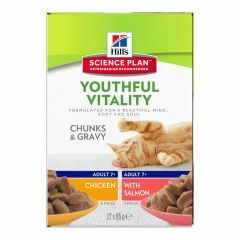 Hills Science Plan Mature Adult Cat 7+ Active Longevity with Chicken Dry Food helps preserve kidney and vital organ function. Formulated with clinically proven antioxidants, omega 3s and reduced phosphorus. 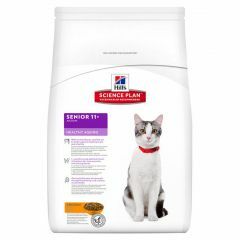 Royal Canin Vet Care Nutrition Senior Consult Cat Stage 1 Balance Dry is a complete feed for adult cats over 7 years old, designed for cats without obvious signs of ageing with a tendancy to gain weight (ideally recommended during a Senior Consultation). 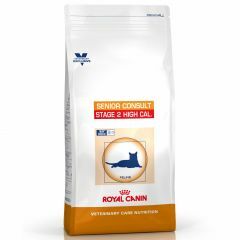 Royal Canin Vet Care Nutrition Senior Consult Cat Stage 1 Dry is a complete feed for adult cats over 7 years old. 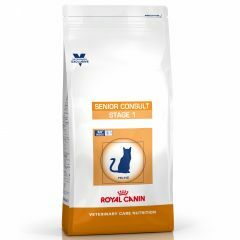 Royal Canin Vet Care Nutrition Senior Consult Cat Stage 2 Dry is a complete feed for mature adult cats over 7 years old that are showing some obvious signs of ageing. 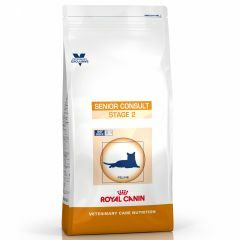 Royal Canin Vet Care Nutrition Senior Consult Cat Stage 2 High Calorie Dry is a complete feed for mature adult cats over 7 years old that are showing some obvious signs of ageing with a tendency for weight loss. 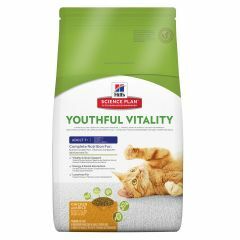 Hill's Science Plan Youthful Vitality Feline 7+ Chicken & Rice is a tasty complete dry cat food, which has been specifically developed to meet the needs of the changing biology of adult cats aged 7+ as they reach their "middle aged" life stage. 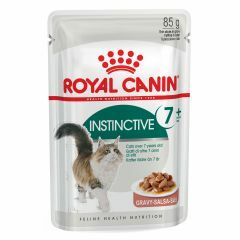 Royal Canin Feline Health Nutrition Instinctive 7+ (in Gravy) Wet Pouches is formulated for cats over 7 years old. 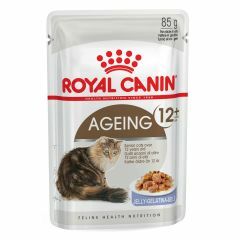 Royal Canin Feline Health Nutrition Ageing 12+ Wet Pouches is formulated for senior cats over 12 years old. Available in gravy and in jelly. 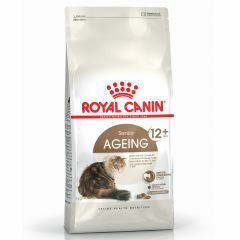 Royal Canin Feline Health Nutrition Senior Ageing 12+ Dry Food is for senior cats over 12 years old. 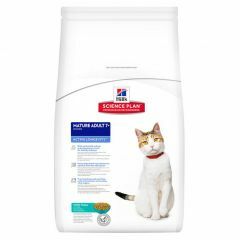 With a healthy ageing complex to benefit your cat in many ways such as stimulating their appetite and promoting renal and urinary health. 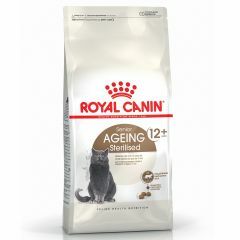 Royal Canin Feline Health Nutrition Senior Ageing Sterilised 12+ Dry Food is for senior neutered cats over 12 years old. With healthy ageing support for weight maintenance, renal health and urinary health. Royal Canin Feline Health Nutrition Outdoor 7+ Dry Food is designed for active outdoor cats over 7 years old. 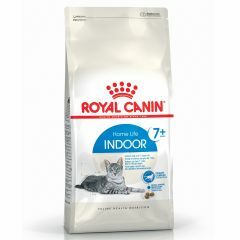 Royal Canin Feline Health Nutrition Indoor 7+ Dry Food is specifically designed for indoor mature cats aged 7-12 years. 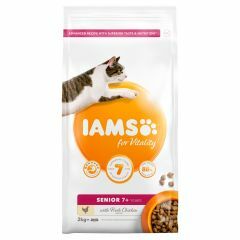 IAMS for Vitality Senior Cat Food With Fresh Chicken is a 100% complete and balanced dog food for your pet to enjoy and thrive on. 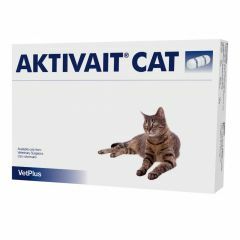 Aktivait Capsules are a feed supplement for cats to help aid with brain ageing and maintaining optimum brain function as your cat gets older. 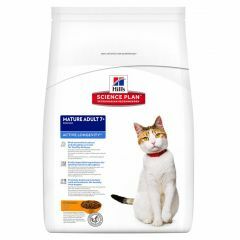 Hills Science Plan Mature Adult Cat 7+ Active Longevity with Tuna Dry Food helps preserve kidney and vital organ function. Formulated with clinically proven antioxidants, omega 3s and reduced phosphorus. 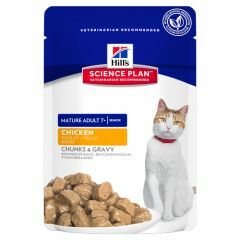 Hills Science Plan Feline Mature Adult 7+ Active Longevity Chicken Wet Food Pouches are formulated to meet the special requirements of cats aged 7 years or older. 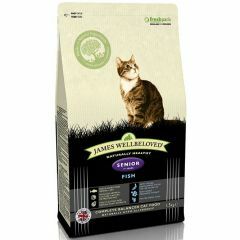 The chicken flavour means your cat will love how it tastes too!